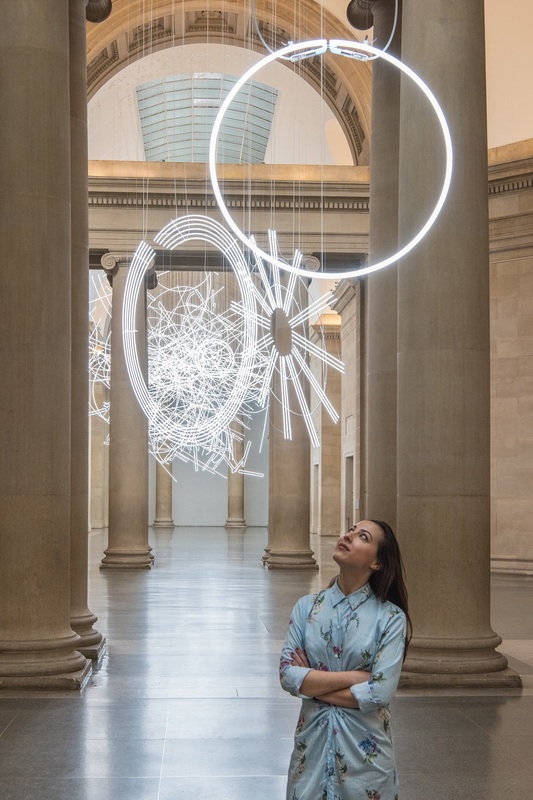 “Cerith Wyn Evans was a perfect fit for the Tate Britain Commission given his unique contribution to British and international art for over two decades,” assistant curator of the Tate Britain Commission, Elsa Coustou, told the GLASS Quarterly Hot Sheet in an email interview. Wyn Evans, who began his career as an experimental filmmaker in the 1980s, has been working in sculpture and installations since the 1990s. Wyn Evans’ works are typically made in light forms, and feature conceptual, often multi-perspectival explorations of language and understanding. 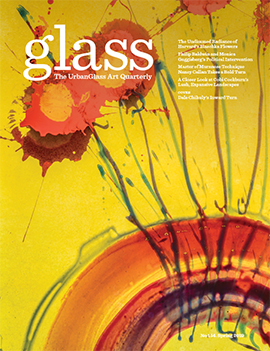 His frequent use of white neon is an important example of the medium’s stronghold in conceptual art, a trend that GLASS Quarterly explores in depth in its Summer 2017 cover issue on the persistent power of neon. 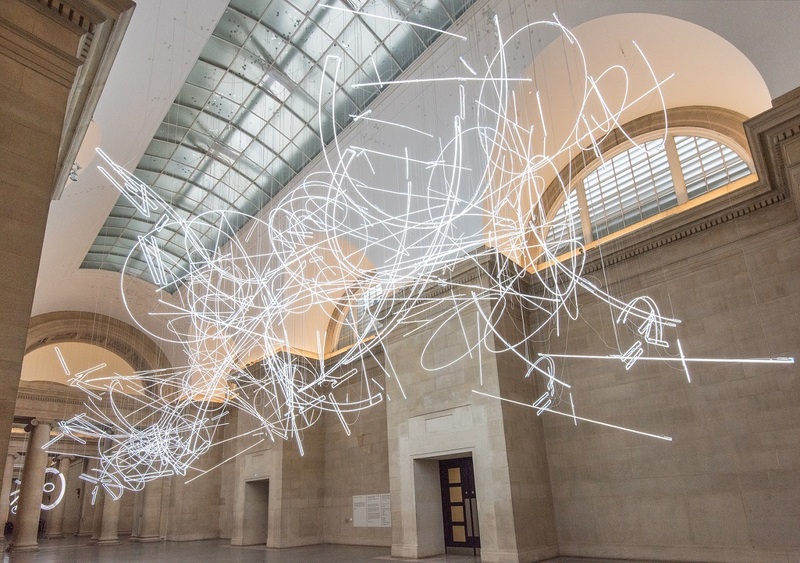 “The Tate Britain Commission is an opportunity to show Wyn Evans’ ability to create compelling structures out of light on a challenging scale,” Coustou said. At first appearing to be an incomprehensible mess of white lines and curves, “the work unfolds as the viewer navigates through the space,” revealing within it continuously shifting forms, which align and cohere depending upon one’s viewpoint. Aside from a direct recreation of shapes from Marcel Duchamp’s The Large Glass (1923), these forms are inspired by “the precise movements of Japanese Noh theatre, reflecting the artist’s interest in choreology – the practice of translating movement into notational form.” Music can also be seen as a source of inspiration, as “the work echoes musical structures with their repetitions or variations of a form,” according to Coustou. This visual translation of communications from other media is a theme that recurs throughout Wyn Evans’ work, as in his Astrophotography… (2006) – an ornate, Venetian-made glass chandelier that flashes a Morse-code excerpt of a 1987 book about the titular type of night-sky photography. Perfectly paired with this cross-media fascination, two concerts were programmed by the artist to take place in the galleries back in June, under the dazzling light of his new installation. With music by intellectually challenging 20th- and 21st-century composers Karlheinz Stockhausen, Enno Poppe, and John Cage, the programs reflected the dense, conceptually-driven aesthetic of the installation. 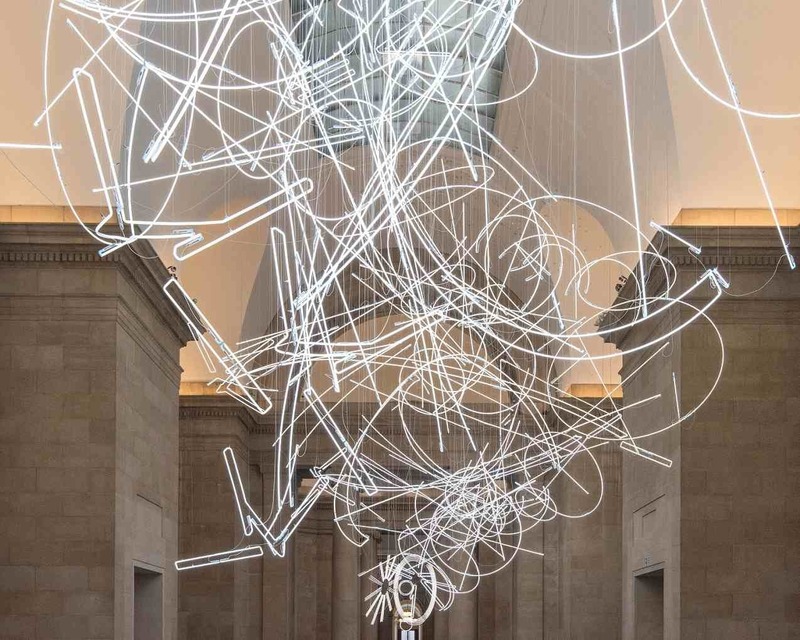 Forms in Space...by Light (in Time) is structured in three parts, sprawling throughout the Duveen Galleries. The aforementioned nearly 2 kilometers of neon tubing is attached to the ceiling at over 1,500 points. “The work emerges from a single neon ring before developing into a collection of three discs,” Coustou explained, “[and] culminating in a maze of complex lines,” in the galleries’ north end. This spatial prolongation of the work displays Wyn Evans’ ongoing interest in space, time, and their effect upon human understanding – the artist has made numerous visits to the Large Hadron Collider at CERN. For Coustou, the spatial component reveals the possibility of a cosmic interpretation of the installation. 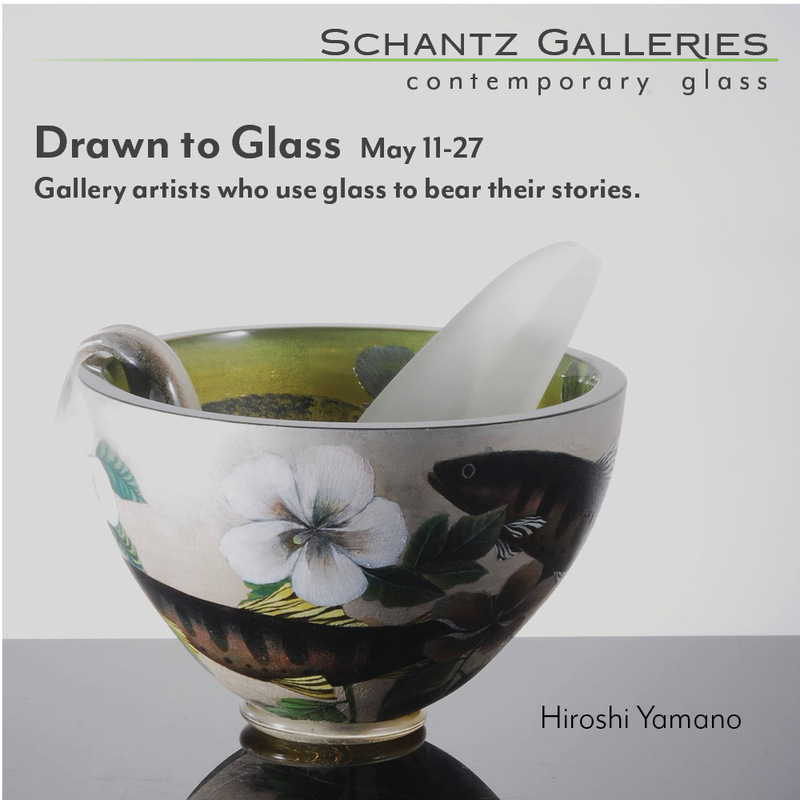 “Encouraging viewers to orientate themselves within an environment full of potential meanings and connections," she says, "[the work] could be viewed as a celestial map.” Viewers will have one more month to see the work from their own orientation, and interpret it for themselves.